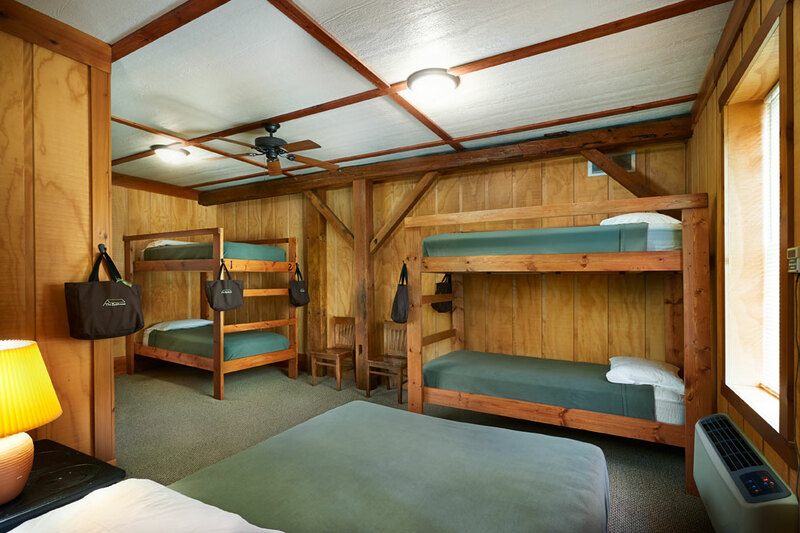 The Bunkhouse offers all of the necessary accommodations for your group, including a full kitchen, a large central great room, a game room and overnight lodging. We can host a minimum of 8 people, or all the way up to 32+ guests (22 in beds, the remainder in cots). 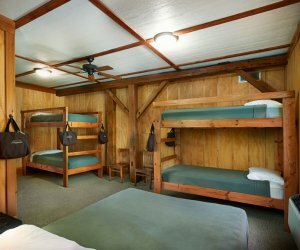 The first night is approximately $90/person (plus tax). The second night is half-off per person. 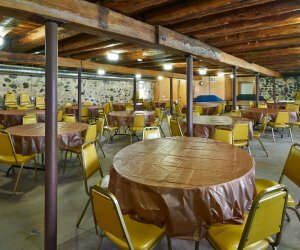 Our Lower Corral Banquet Hall is designed for larger groups of up to 100 guests and can be rented independently of The Bunkhouse, itself. 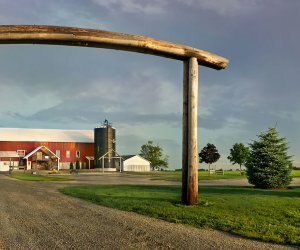 You do not need to stay the night to rent The Lower Corral. 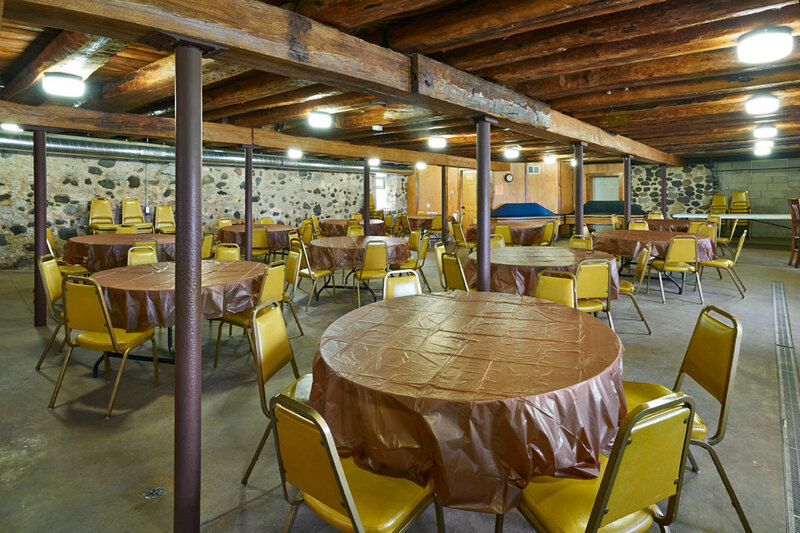 Large 7-ft round banquet-style tables provide comfortable seating for both meetings and dining.